Beth Ann & Jessica's Helpful Savings: Shop at Home: Twizzlers 50% off from Staples.com! 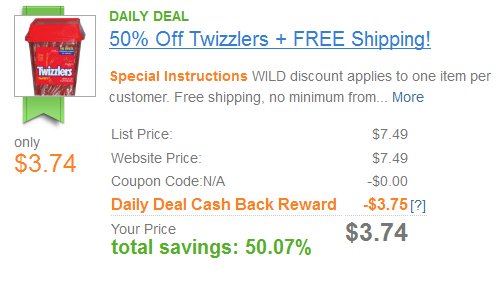 Just $3.74/105 ct.
Shop at Home: Twizzlers 50% off from Staples.com! Just $3.74/105 ct.
Today, through Shop at Home's daily deal, you can score these 105 ct Twizzlers for 50% off on Staples.com after cash back. Pay $7.49 and get $3.75 back in your Shop at Home account, making these just $3.74. If you haven't signed up for Shop at Home yet, you can also get a $5 gift card or credit! 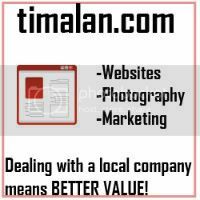 You must go through Shop at Home for this deal through the link below. You can see this deal on the front page, or search "Staples" to see the above-pictured deal.